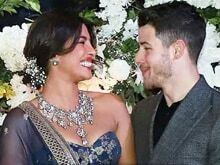 Nick Jonas accompanied Priyanka Chopra to India last week and over the weekend, the rumoured couple went to Goa for a brief vacation. Priyanka's cousin Parineeti, who was also part of the trip, has described meeting the American singer-songwriter as 'fun.' In an interview to NDTV, Parineeti said, "It was fun and we had a great trip, amazing food. Yeah, it was great."